A crew member is missing from Adventure of the Seas which is operated by Royal Caribbean. The Captain of the vessel notified guests while the ship was docked at Cozumel, Mexico. Guests on the current Adventure of the Seas voyage have been posting that a crew member went missing from the Royal Caribbean ship. This news is also being reported by Cruise Law News, the site was contacted by guests who were on the ship. It is unknown when exactly the crew member went missing and it may have been before the vessel arrived at Cozumel on November 22. When the crew member didn’t turn up for work the alarm was raised and likely in these situations the crew will search the entire ship. Sadly it is likely the crew member may have gone overboard during the night with no witnesses. Shipboard security will also be checking CCTV footage to find out what has happened. Adventure of the Seas is arriving back at her homeport today at Fort Lauderdale, Florida where a further investigation by authorities could occur. The ship is completing a 6-night western Caribbean cruise which departed Port Everglades on November 18. Port of calls includes Grand Cayman, Costa Maya, and Cozumel. The ship will depart again today on an 8-night Eastern Caribbean itinerary. 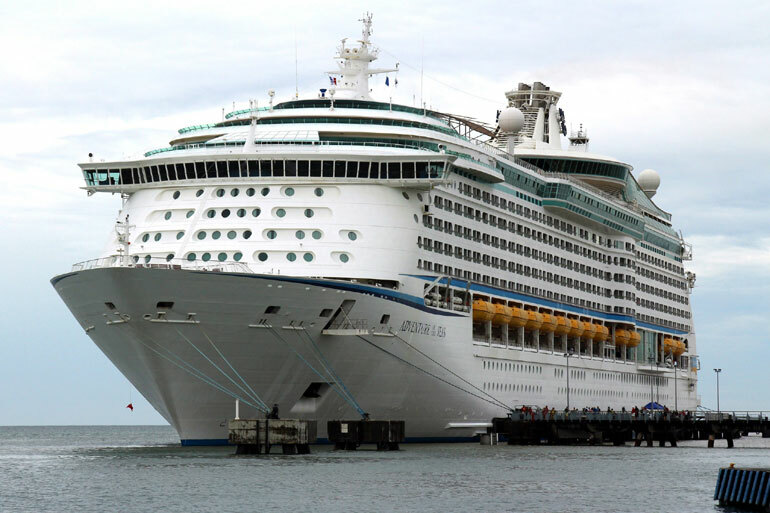 The Royal Caribbean ship is 138,000 gross tons and has a guest capacity of over 3,100 at double occupancy. The last missing crew member we posted about was on a Holland America ship. A crew member had gone overboard when the ship was sailing in Alaska. In July 2018 there was a miracle rescue when a crew member was overboard the Norwegian Getaway. Almost a day later a Carnival cruise ship rescued the crew member near Cuba.